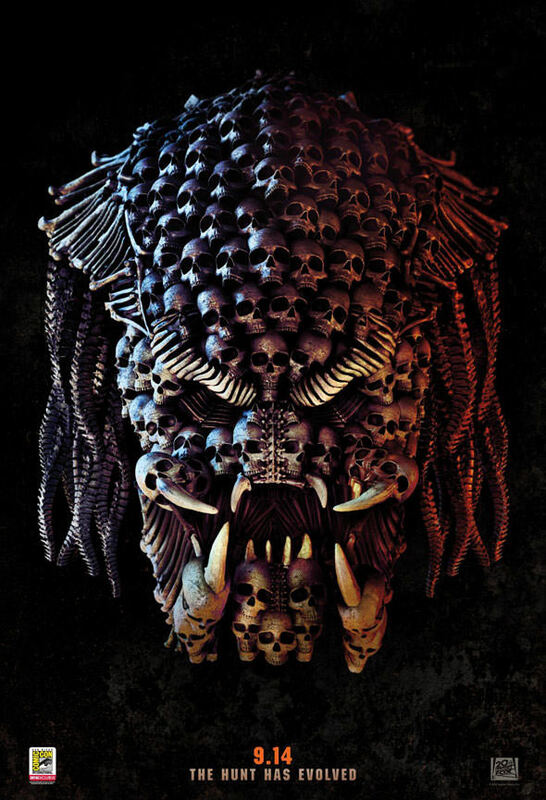 20th Century Fox kicked off San Diego Comic Con’s first full day with a panel for Shane Black’s “The Predator” in Hall H and while footage was played, sadly that footage will not be released online. The studio isn’t going to leave fans empty handed though and have premiered a Comic-Con exclusive poster for the movie featuring some truly spectacular artwork you can see below. In terms of the presentation, Black and actors Olivia Munn, Sterling K. Brown, Keegan-Michael Key, Trevante Rhodes, Jake Busey, Yvonne Strahovski, Thomas Jane and Augusto Aguilera all appeared on stage to promote the film. Its main star, Boyd Holbrook, wasn’t there but did post a video message and introduced a clip with Munn’s schoolteacher character getting pranked by a group of soldiers with Black’s usual panache for snappy dialogue reportedly on display. A second clip had a Predator hunting down several of the characters in a school only to get into a brutal and gruesome fight with the ‘Super Predator’. Black says the scene is still being tweaked, mainly with more blood set to be added to it. In the new film, the Predators have genetically upgraded themselves with DNA from other species. When a young boy accidentally triggers their return to Earth, only a ragtag crew of ex-soldiers and a disgruntled science teacher can prevent the end of the human race. The film opens September 14th. Previous article“Bond 25” Casting For Three Villain Roles?